Despite the fact that the pasta is a very simple dish to cook, their cooking requires careful control, as the product can be digested in a few minutes, becoming unappetizing. In addition, cooked pasta usually quickly stick together. Adding butter can correct this misunderstanding, but the German company Mühlenchemie has developed an even simpler solution - an enzyme that, when added to flour, prevents the paste from sticking together. It is reported that the addition of 40 g of an enzyme called Pastazy PD per 100 kg of flour extends the cooking time of pasta for 20 minutes and allows the pasta to retain its shape, without being digested and not sticking. 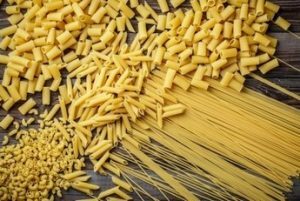 Not only consumers will appreciate the increased resistance of pasta to cooking - experts expect that the new development will help pasta producers to switch to cheaper wheat varieties and significantly reduce the cost of raw materials.